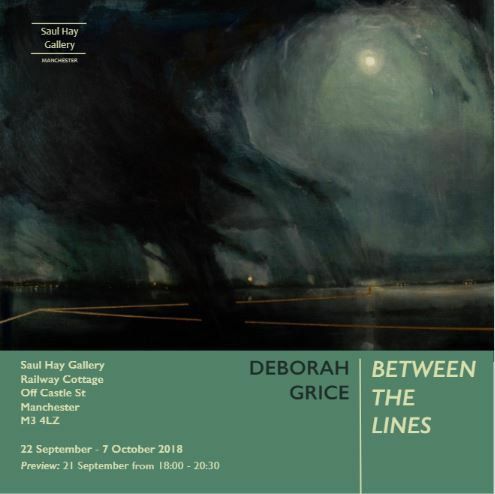 As the winner of New Light Art Prize 'Saul Hay Gallery Emerging Artist Award'- Deborah Grice has produced her first solo exhibition of work, which will be shown in the Saul Hay Gallery Manchester. A graduate of Glasgow School of Art and The Royal College of Art, London, Grice paints raw land, emptiness and weather. Her paintings are metaphysical in nature, representing vastness and 'otherness'. The use of geometric lines allude to aspects of 'vision'; perception, meditation, escapism, the physicality of looking....... and are of course open to personal interpretation.